Alongside our residential and commercial cleaning services, we also provide additional expertise in the gardening and estate maintenance industry. We help property managing agents, residential housing associations, building companies and commercial clients keep their garden and communal areas looking their best. 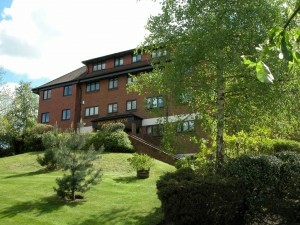 Although relatively simple spaces, communal gardens and office landscaping areas still need regular care and attention. As an addition to our commercial and residential cleaning services, we provide various gardening and grounds maintenance services to ensure that your communal and commercial gardens look healthy and tidy all year round. Ranging from lawn mowing, shrubbery pruning and hedge trimming to clearing out and disinfecting bin areas, treating the lawns and maintaining the grounds, we provide the complete garden maintenance service. Garden maintenance has been a major focus of our property management and grounds maintenance business for over 25 years; helping commercial and residential clients maintain their gardens and communal areas is something we really enjoy and excel at. Our bespoke garden maintenance services are carefully tailored to your specific requirements. If necessary, our gardeners and ground maintenance experts will visit your property on a weekly basis, throughout the year, ensuring the highest possible working standards at all times. 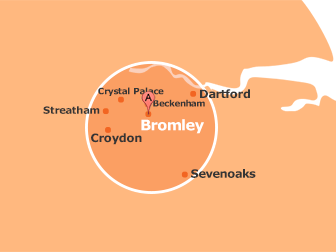 Based in the South East London borough of Bromley, our gardeners and maintenance specialists regularly supply Kent, London and the South East with comprehensive contract cleaning, building and property maintenance, estate management and gardening services. Our broad portfolio of commercial and residential expertise encompasses many areas, including Gravesend, Canterbury, Maidstone, Orpington, Bexleyheath, Dartford, Tonbridge, Medway, Beckenham, Sevenoaks, Tunbridge Wells, West Kingsdown, Bromley and the City of London. For more information about our professional gardening and grounds maintenance, contract cleaning, estate management or any aspect of our comprehensive property maintenance services, please feel free to contact us. A time-served property maintenance expert from our friendly team will run through your queries, general maintenance concerns and individual gardening requirements before arranging your free survey and no obligation garden maintenance quotation.